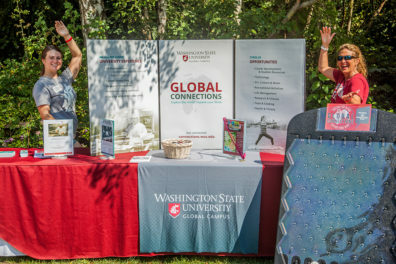 Global Connections was created in 2012 with the goal of providing extracurricular programs that would help Global Campus students connect to their online community and diversify their learning experience. Get the full Washington State University experience. Beyond a GPA, there is more to becoming a well-rounded and competitive candidate for future opportunities. Global Connections strives to deliver events that challenge you to explore your world and expand your mind. This is where you’ll find the best of WSU: career development workshops, faculty presentations, wellbeing seminars, and practical skill building demonstrations as well as fun DIY projects and activities like Virtual 5Ks and homebrewing. You can connect—and compete—with students from other WSU campuses in the Showcase for Undergraduate Research and Global Case Competitions. 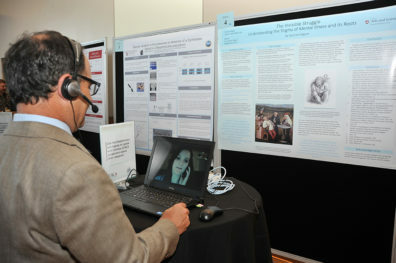 Global Connections works one-on-one with students to give them the opportunity to virtually present their research and academic work to win prestigious scholarships and awards no matter their physical location. How does it work? Through cutting-edge web conferencing technology and livestream capabilities, Global Campus students are able to experience live events with the option to chat with guest presenters and other attendees. It’s as easy as selecting a link, marking it on your calendar and joining us from wherever you have an internet connection.